Yury became a graduate student in the Applied Physics department at Caltech in 2013. In the Atwater Group he is doing research on quantum entanglement in plasmonic structures. 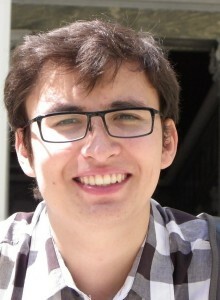 Before joining Caltech Yury was a guest scientist at Fermilab, working on optical stochastic cooling, and did research as a summer intern at Caltech (optical characterization of Ceria thin films) and at Fermilab (measurement of magnetic permeability at microwave frequencies). Yury received his BSc with honors in Applied Mathematics and Physics from Moscow Institute of Physics and Technology in June 2011. His Bachelor’s thesis was dedicated to studies of acoustoelectric effect in Josephson junctions.